Limpopo Lodge is the premier accommodation in Polokwane.Neat lodge in lovely quiet garden with shade trees and sparkling pool and braai areas , pool table.25 neat bedrooms with own bathroom and TV. Self catering in most rooms. Here at Limpopo Lodge we take pride in providing our guests with the highest quality and very personal service so we can emulate what it's like to be at home. We make sure that the rooms are to every guest's liking. Our kitchen is open to provide you with your choice of meals at any time of the day or night. Lunch Packs available for guests getting out early. Limpopo Lodge also offers discounts for frequent guests! 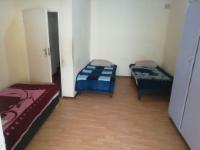 We specialize in contractors accommodation. So the next time you're on a business trip or looking for accommodation , let Limpopo Lodge be your first choice. On receipt of a written instruction to cancel the reservation, Limpopo Lodge will refund the applicable amount as determined by the cancellation terms within 5 working days. Limpopo Lodge levies a 4.5% administration fee on any refunds processed. Should refunds to a SWIFT bank account be required, an additional R185 charge will be levied. 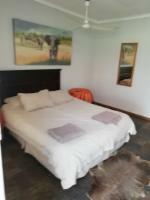 Limpopo Lodge is a great place to stay for the travelling businessman. It has all that is needed. I did not manage to sleep at the Limpopo lodge. Rooms allocated to me their matress was very bad tried to cal the owner he never answered his phone not even bothered to return the cal me. Hendrick the security guy was very good. Water, cooling and heating system. Absoluut die mees aakligste aakligste plek wat ek ooit beleef het. 1) Arriveer ongeveer 14h30. Ek aanvaar book-in tyd is 13h002) Kamer morsig .Beddegoed vuil,reuk in kamer,nie uitgevee,wasbak vuil,potte vuil3) Bedlampies werk nie,muurprop los van muur. 4) Houers waarin koffie,tee en suiker is....vuil. Wou nie eers daaraan vat.5) Geen matjie voor stort. 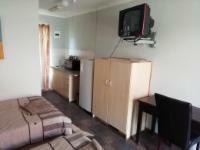 Limpopo Lodge is 8km from the centre of Polokwane (Pietersburg) , the nearest airport 3.8km (Polokwane Airport).